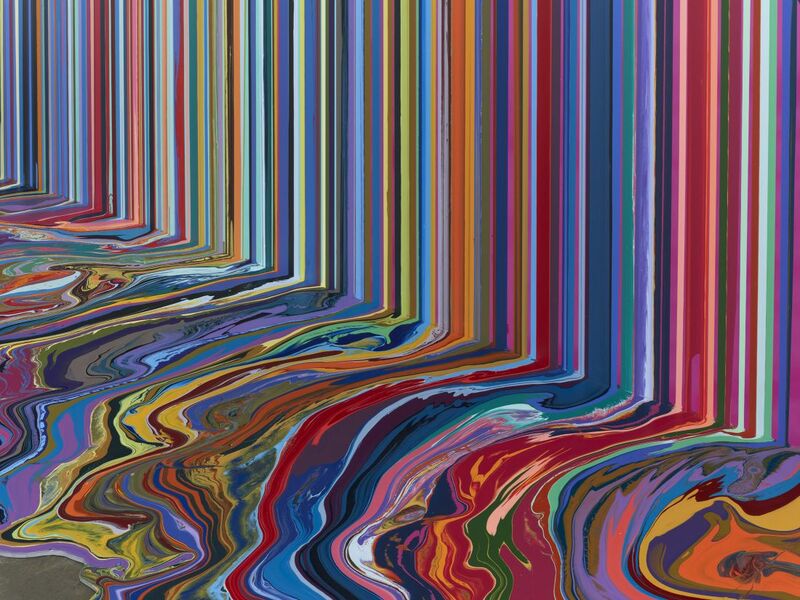 Ian Davenport’s Colourscapes is a new exhibition launching at Waddington Custot gallery in London this September, featuring new paintings by the British artist. 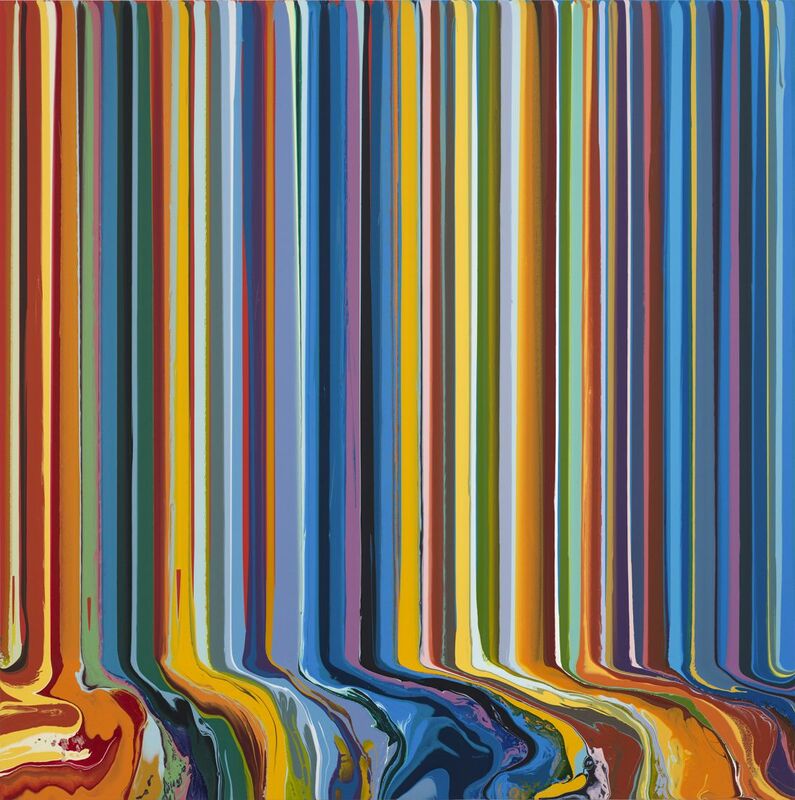 Building on his career-long investigation of chance, colour and the innate qualities of paint, it will also feature Davenport’s works on paper that reveal his entire process. 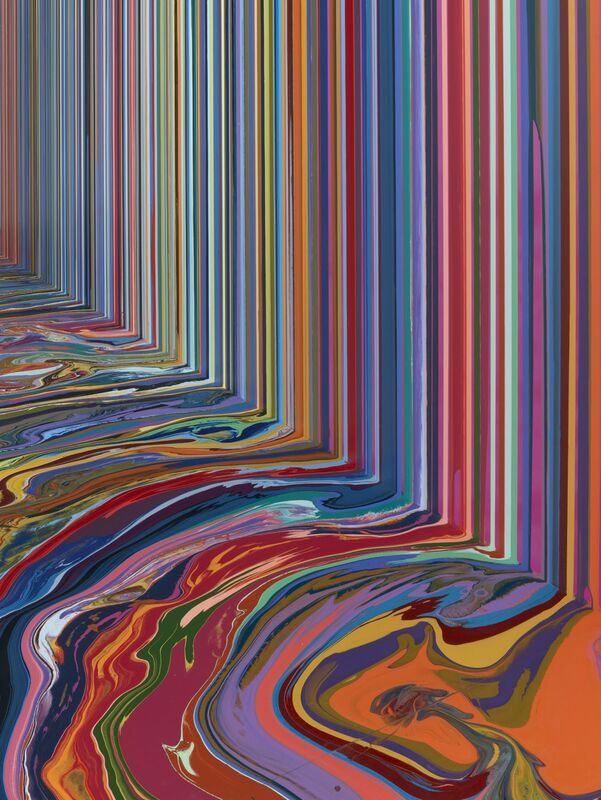 The main gallery space will house Davenport’s large-scale Puddle Paintings, which follow on from his giant, 14-metre wide installation for the 2017 Venice Biennale and introduce a sculptural element to the picture plane. 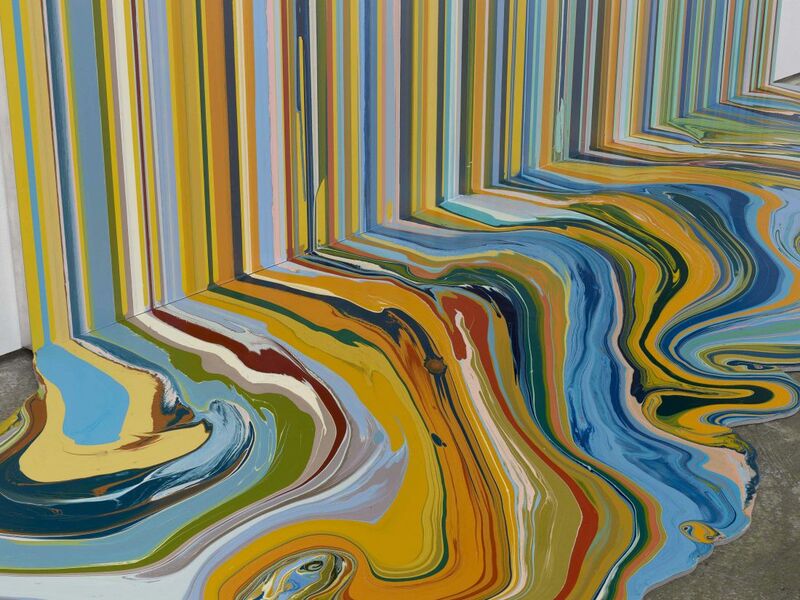 Using a schematic colour palette, he meticulously applies paint from a height, allowing it to ebb and flow in a single linear stroke, a process which is then repeated to form a landscape of colour. 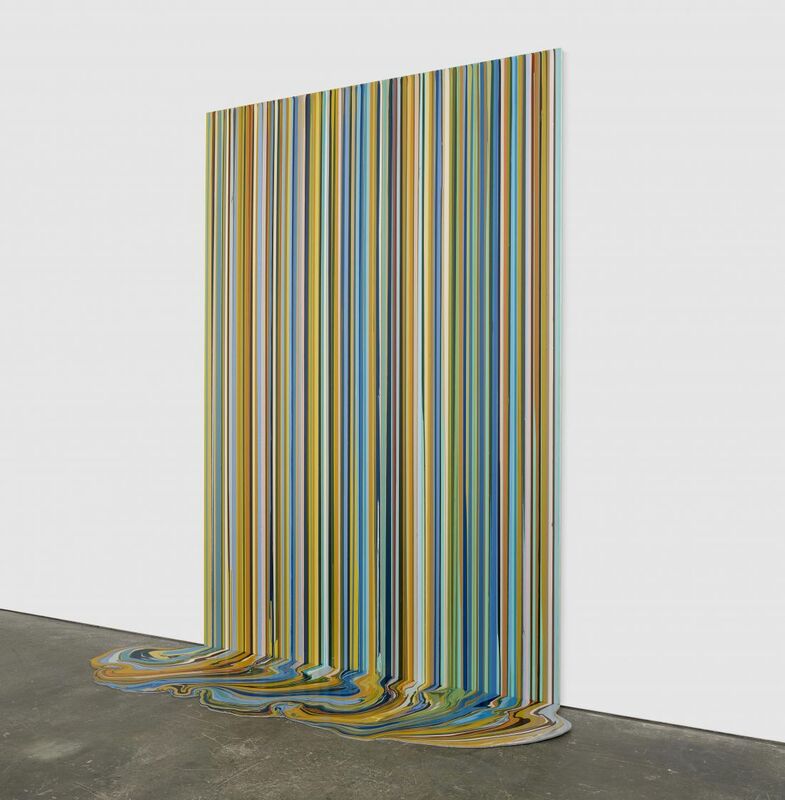 These new works, including Mirrored Place and Olympia, also incorporate intricate and varying natural patterns as the paint pools at the bottom of the vertical panel in a physical extension of the painting. 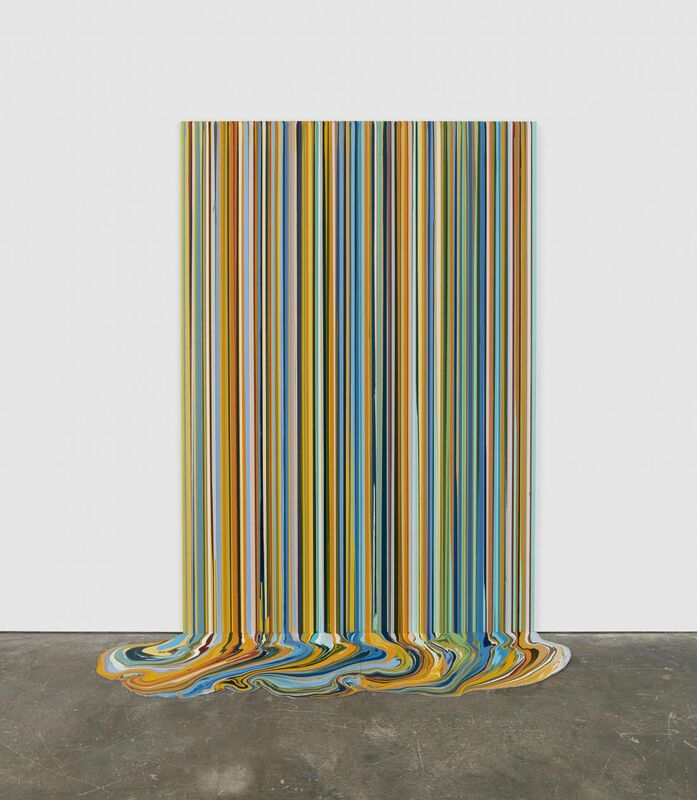 Recently, Davenport has been interested in expanding his artistic dialogue by examining the flow of paint in more detail and investigating how to manipulate liquid acrylic to create more compositional variety and complexity. 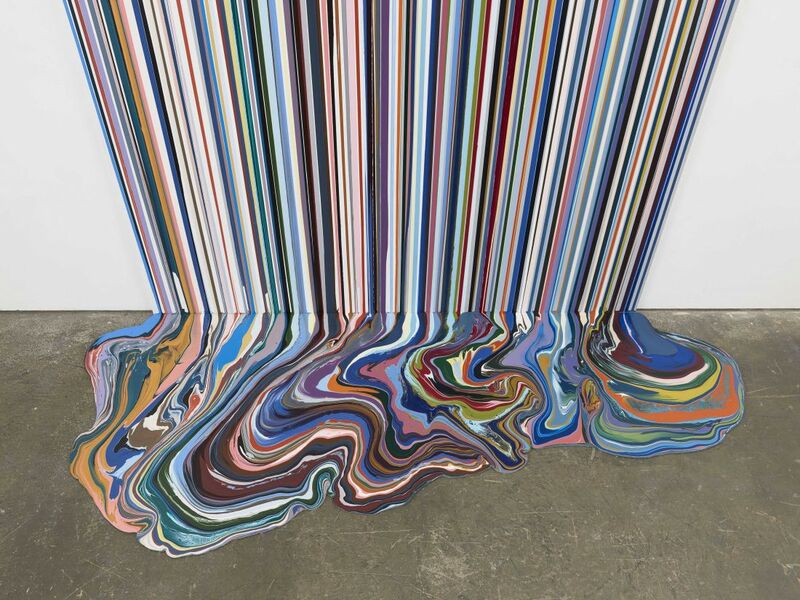 He has found a method to pour a sheet of different colours together in one gesture. As he draws with the paint, often in a diagonal direction, he is experimenting with the expansion and contraction of line. In contrast, his Splat works on paper resemble explosive fireworks. 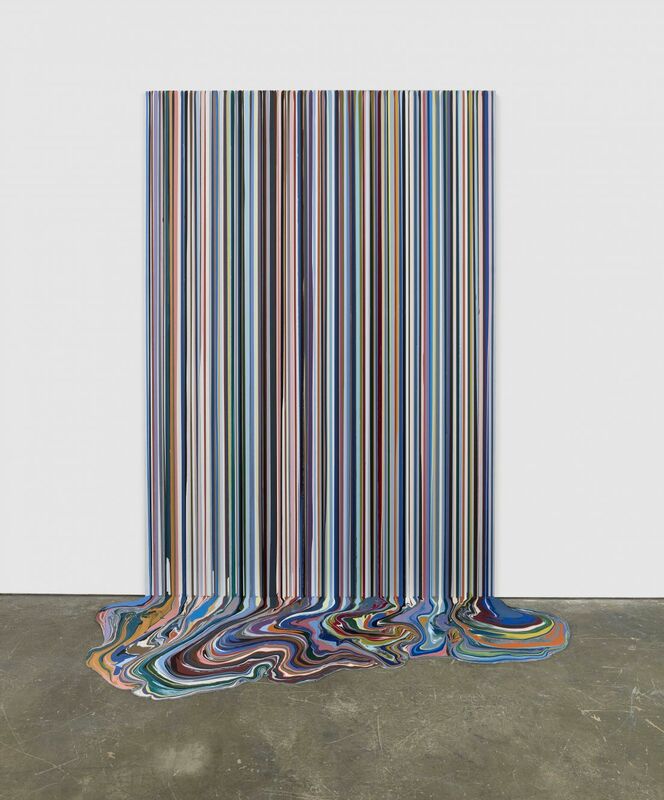 He builds paint up in layers, obscuring and erasing each preceding mark to create energy and depth. The mark making is active and aggressive with passages of openness. 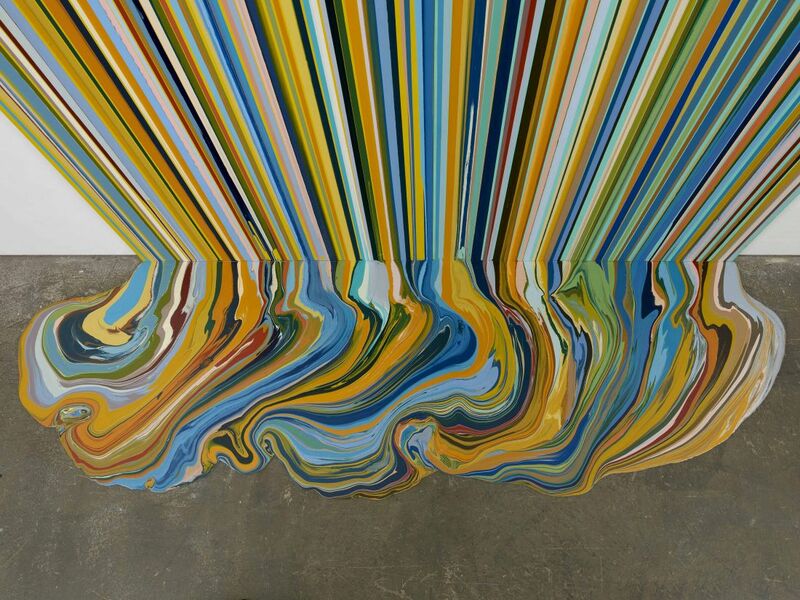 The fallout from the paint’s impact as it hits the paper leaves residual traces and splinters of colour. 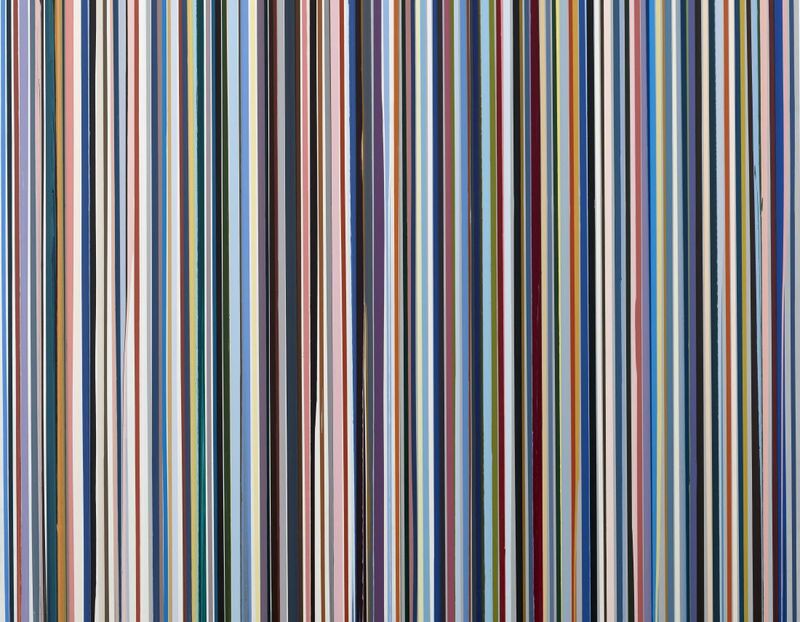 Ian Davenport Colourscapes runs from 20 September until 8 November 2018 at the Waddington Custot gallery in London. Find out more: waddingtoncustot.com.